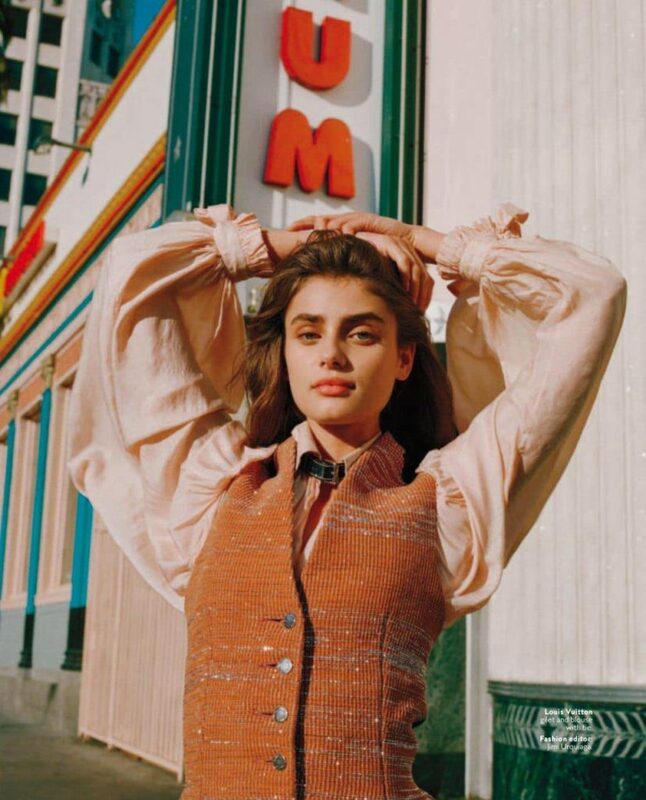 2018 has already been an amazing year for model Taylor Hill, and it’s only just begun. Since January the model has posed for Vogue Spain, and stared in multiple Victoria’s Secret campaigns. Now April has Hill posing in downtown Hollywood for InStyle magazine. 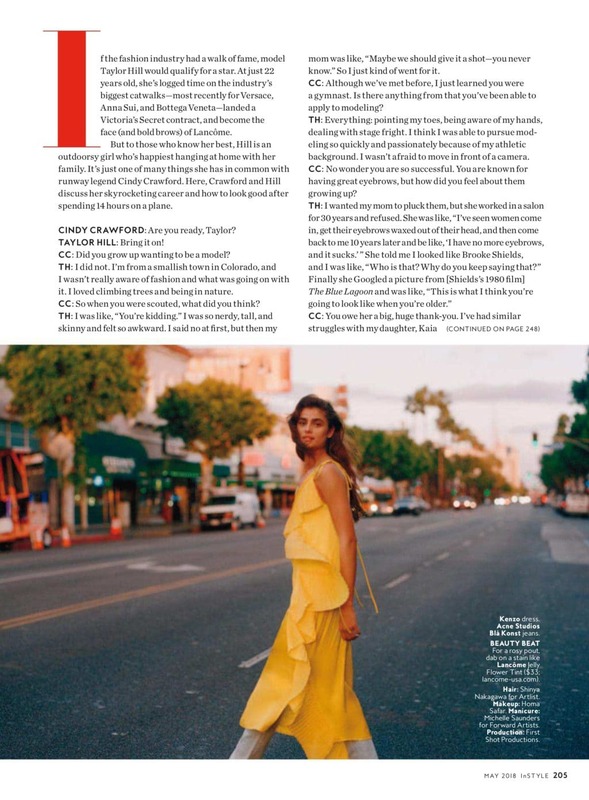 The latest issue also has Cindy Crawford interviewing the Angel, and the two supermodels have more in common than what you might think. 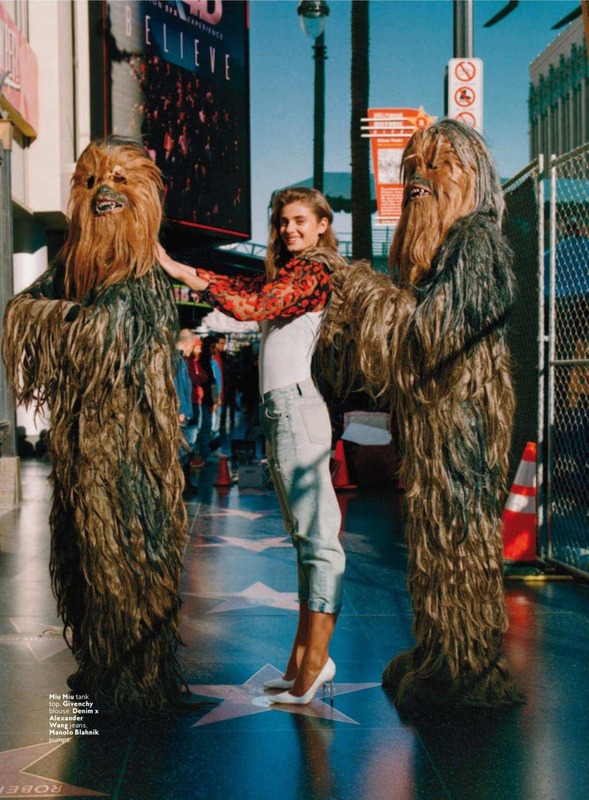 Besides supporting bushy brows, both models were initially very hesitant when entering the model industry at such a young age (Crawford got her start in the model industry at age 17.) “I was like ‘You’re kidding.’ I was so nerdy, tall, and skinny and felt so awkward.” Hill stated after she was scouted as a teenager. “I said no at first, but then my mom was like, ‘Maybe we should give it a shot-you never know.’ So I just kind of went for it.” Looks like that risk paid off after all. 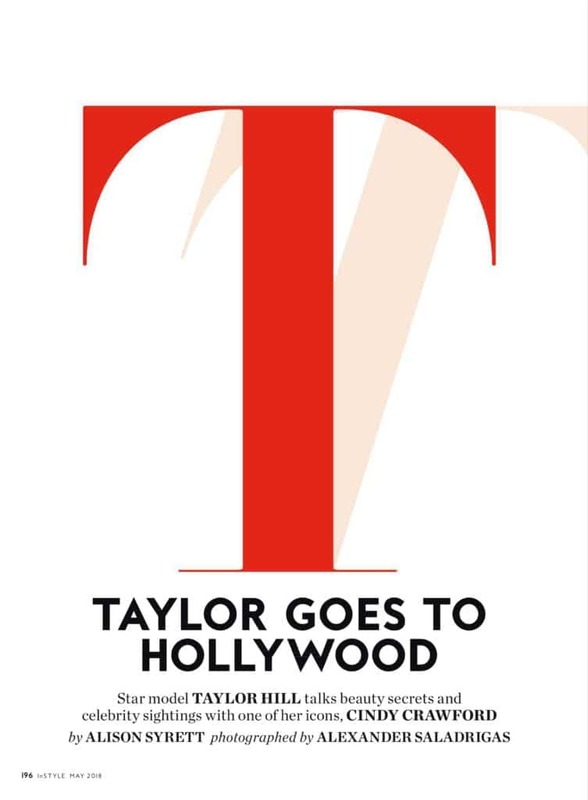 Visit Taylor’s Bellazon thread for all the latest pictures, videos, and updates of the model.